Many Hillcrest, Mission Hills, and Bankers Hill dentists use crowns when performing smile makeovers to cover patient’s discolored or poorly shaped teeth. 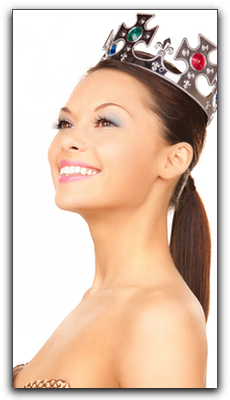 Strong, natural-looking crowns are also used with dental implants. If you think a dental crown may be right for you, check with your San Diego dentist. Or, if you are searching for quality dental care in the San Diego area, call us here at Marcos Ortega DDS. We are located in San Diego and have been serving the greater San Diego area since 1986. We are currently accepting new patients at our state-of-the art, yet warm and comfortable dental office. Call us at 619-295-4545 and our very comfortable and friendly staff can answer any questions you have about teeth whitening in San Diego, veneers, enamel shaping, or any other cosmetic dental, general oral health, or dental financing questions.